You already know the value of using text to contact your customers with status reports and digital inspections. Customer response and appreciation shows that they, too, value text as an efficient form of communications. 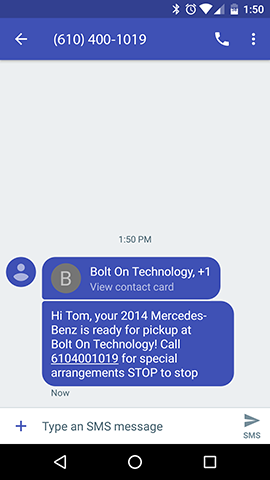 BOLT ON has made the introduction of this breakthrough technology to your new and current customers by automatically providing your shop with an electronic business card sent right to their phone the first time you text them. 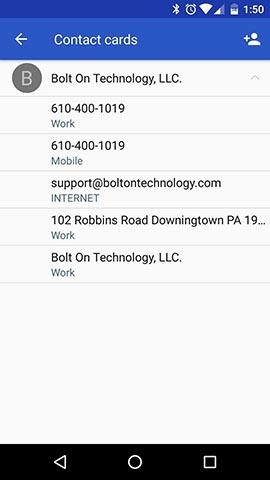 With just a few taps on their smart phone, your customer now has all of your shop’s communication information in their contacts. Once your information is entered into the customer’s phone contacts, every time your shop contacts the customer about their vehicle, they will quickly respond knowing that they will get their vehicle back when they want it. Sooner than later. “Wow! How do I get this new option? 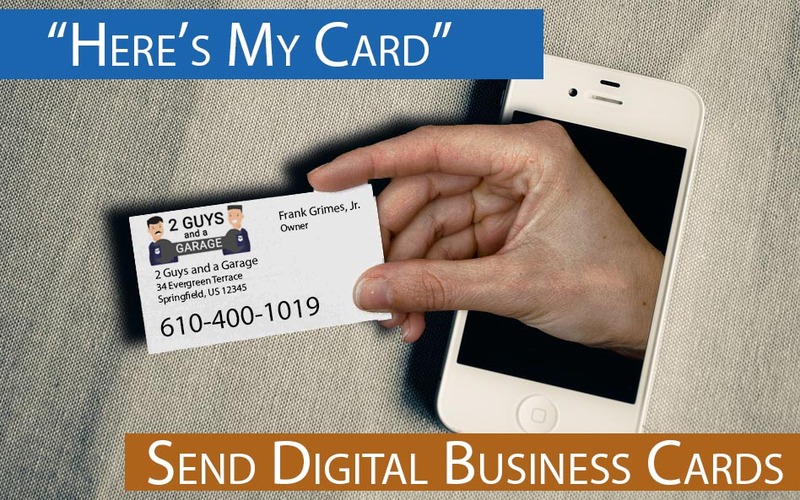 How much for my own digital business card,” you ask? You already have it! It is available to all our Shops using BOLT ON communications. Start handing out those business cards with every text you send today, building a better tomorrow for you and your shop.